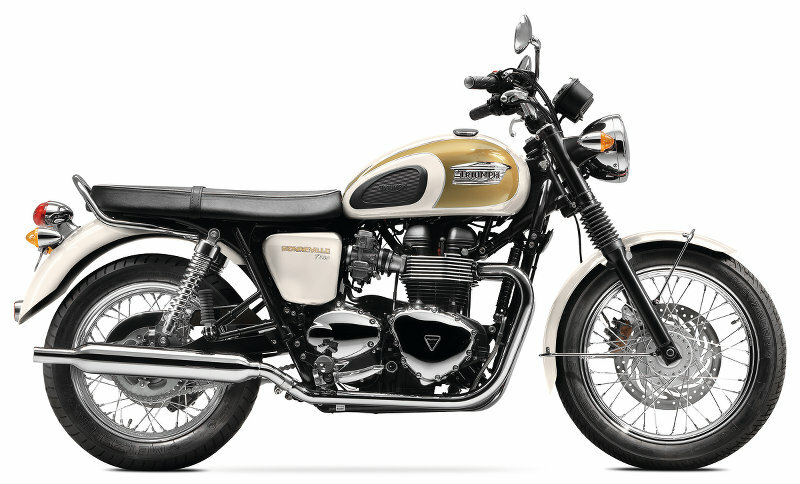 ATLANTA (Oct. 1, 2013) – Triumph, the UK’s top selling brand of +500cc motorcycles and the fastest growing import motorcycle brand in the United States, is introducing updated versions of its classic Bonneville, Thruxton and Scrambler for 2014. The freshened bikes feature eye-catching new color schemes, improved exhaust notes and an even better riding experience. KTM Officially Unveils 1290 SuperDuke R: 180 HP in a Lightweight Naked! I doubt very much that the flange has been removed from the fuel tank. You just can’t see it clearly. THey would have mentioned it big time since that would have been so great an improvement. Also, why not a Thruxton Black? Not just black paint but also the black-out features of the Bonnie Black? Finally, the flange has been removed from the fuel tank. However, it needs dual discs up front. When are they going to remove the ugly “kink” in the exhaust system? Up the capacity to at least 1000cc then it would be a fantastic motorcycle. If only they would put a belt drive on them. I would buy one in a heart beat. What is with the fake carbs? Love these bikes but come on…what’s next? Fake drum brakes? Since they’re fake carbs, why not make Amal MkI castings to hold the injectors- oops, answered my own question. They still need the CV butterfly valve. That would be tough to fit in the Amal. Fitting the throttle valve which requires atmospheric control or something to that effect would be really ugly and gut the retro allure. Picture a nice BMW airhead fitted with injection. The Bings are gone and there’s this block with wires and cables and a hose coming out of it in its place. It would stand out against the 40+ year old design of the airhead. I own a 2006 Thruxton, a completely wonderful motorcycle. Reliable as a brick and a ton of fun to ride. Triumph has done a great job of reviving and expanding this classic brand. “Norton” could take some lessons….. Wish they would have upgraded the brakes while they were at it. I like being able to stop. I wish Triumph would make a 500 again. Not a lot of Triumphs catch my eye but that white and gold Bonneville looks fantastic. Have to agree. That’s a lovely bike! I think I’m in love!